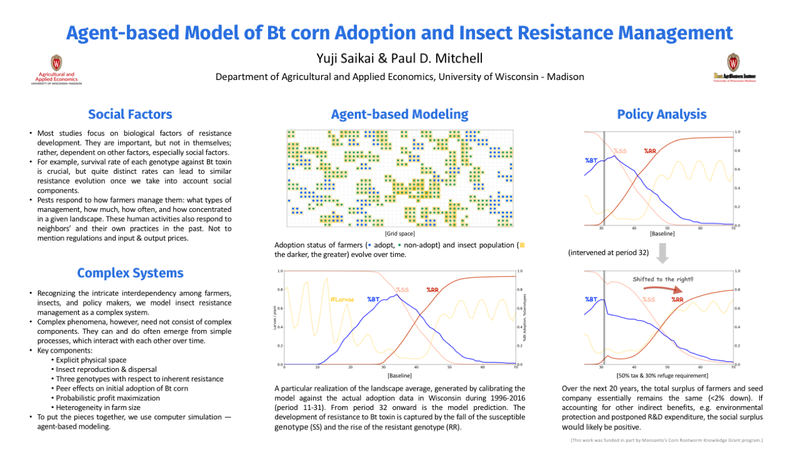 Here is a conference poster of the ABM project that I have been working on with Paul Mitchell. Bacillus thuringiensis (Bt) corn is a transgenic seed variety, used for controlling pest damage, whose adoption involves many stakeholders. We think that it is appropriate to model the situation as a complex system. Like many others, I like Python and so use Mesa as a platform. We try to get it done during the summer!